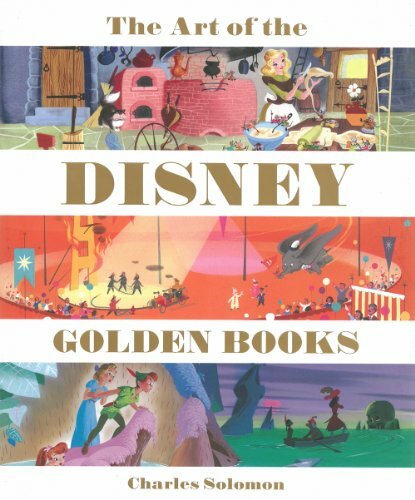 This is a wonderful book that provides the history and background behind Disney Golden Books that were released over the years. It's a beautiful large 160-page hardcover. The text covers the history, art and artists, influences, the changing times and what goes on behind the company, and the legacy. Each page is accompanied by pieces of art from the Golden Books. The most recent book included is for Frozen. The artworks are beautiful. What I like is the style is visually different from the films. It's not exactly animation style art as you'll see many colourful artworks. While there quite a lot to see, it's not as much as having the Golden Books yourself. But still, it's a wonderful tribute and collection. I like the artistic style and design. You get to see the characters in a different world that exists in print. It's a delightful book. Highly recommended to Disney and animation fans. Even if you don't collect the Golden Book, this book is worth the purchase for the art.